Austin is a premiere vacation destination with 33,000 hotel rooms citywide serving to accommodate over 20 million visitors each year. Why settle for a chain hotel when you can stay at some of the coolest spots around town? 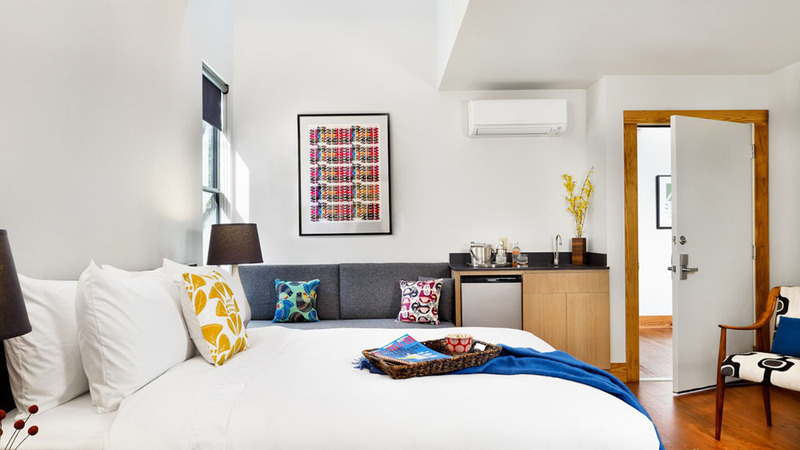 Designer boutique hotels are a new and rising trend, earning favor from visitors as well as locals as intimate meeting spots. These hotels are located in prime locations and offer guests an opportunity to experience Austin in a way that typical hotels can't. 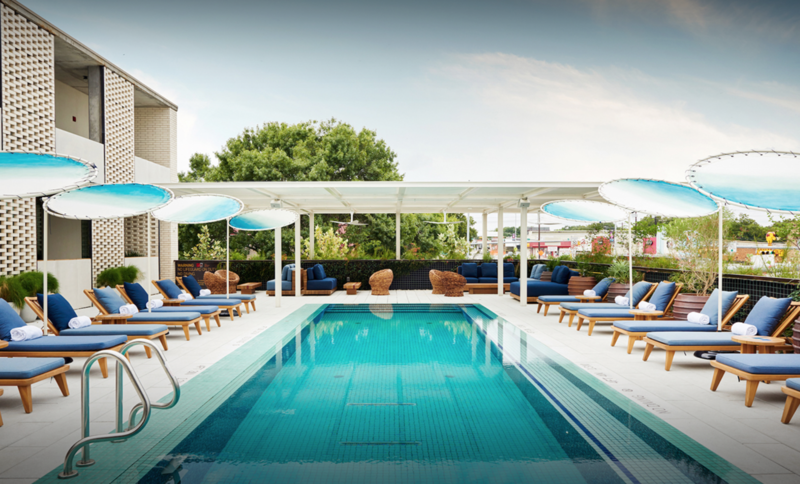 Most are privately owned and have the freedom to infuse the brand with their own perception of Austin's culture, and the result is a wide range of styles, and amenities. For your next visit to live music capital of the world, consider going local. 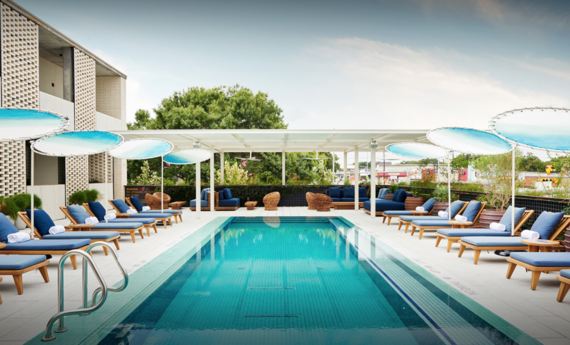 One of the most innovative and modern of boutique hotels Austin has to offer, Kimber Modern is an oasis in the heart of the city. Near downtown and steps away from South Congress Avenue, convenience is the new luxury in this unusual hotel. From the keyless, hassle-free check-in, to the super-automated coffee service and staff-less approach, Kimber Modern is a destination within a destination. A never-seen before concept in Austin, Kimber Modern elevates your spirit through design and technology. The owner's love for art and architecture inspired an unparallelled clean and chic atmosphere with a Scandinavian vibe that is relaxing to the body and mind. Enjoy self-parking and key-code access for a feeling of condo living, in one of the hottest districts in the city. Enjoy a unique blend of present and past at this entirely Austin hotel. The hotel's architecture is designed to bring nostalgia to the guests, modeled in true Americana style, and covered in local folklore. Accommodations are unexpected and spacious, decorated with retro inspired furnishings. Rooms include custom Valencia beds, bright retro refrigerators stocked with local beer and snacks, mid-century modern sitting areas accented with eclectic decor pieces, and of course, an oversize barn door leading to the black and white 1920's tiled bathroom. The 123 rooms open up to outdoor corridors surrounding a courtyard, where nightly fires and live music take place. The sense of community and a touch of camping are part of the overall experience guests can experience at Lone Star. The dog friendly hotel is located in the Domain, the best outdoor mall in Austin offering some of the best food, leisure, and shopping. 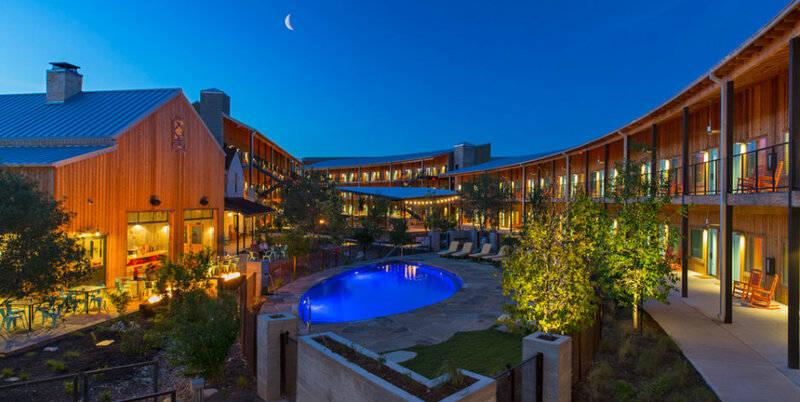 Whether you are a local of an Austin newbie, this is a getaway that takes you right out of the norm, while staying true to Texas roots. This cool, minimalist-chic, trendy hotel is one of the newest in Austin. Located right on popular South Congress Avenue, it offers several meeting areas, a rooftop pool, and a 24-hour gym. 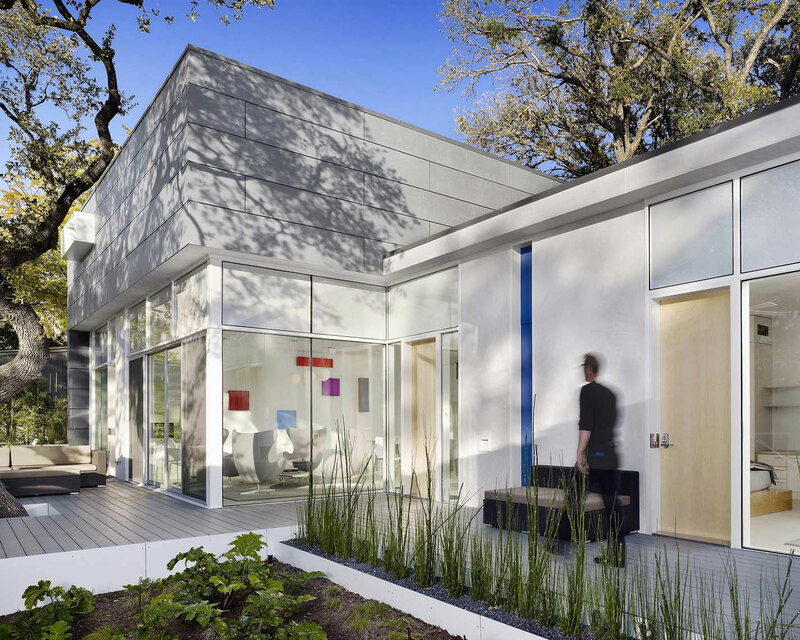 The beautiful mid-century modern decor creates a modern yet welcoming ambience. The hotel has Café No Sé, a continental eatery, Central Standard, a classic Amerrrican restaurant, and Otoko, an exclusive Japanese restaurant serving unique tasting menus. There is also a juice bar, Mañana, featuring cold-pressed juice, locally roasted coffee and small menu of snacks. 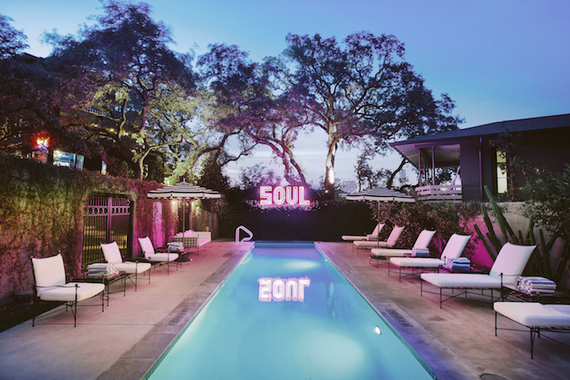 Unique amenities such as in-room spa treatments, nail salon, bespoke gift shop, and retail shopping, make South Congress Hotel a one-of-a-kind Austin destination. Hotel Ella, formerly called Mansion on Judges' Hill, stands in one of the busiest streets in Austin. With its proud and grand presence, Hotel Ella exudes southern charm and history. 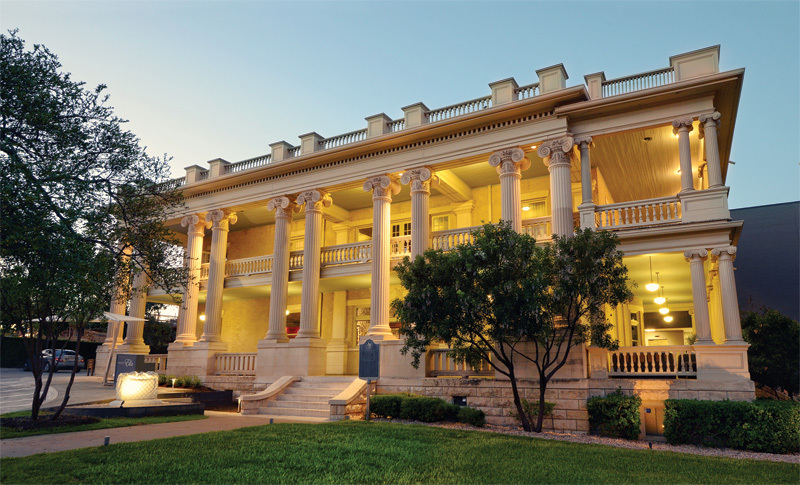 A historic building, the original house was transformed into the Greek revival structure Hotel Ella is today, with its columns and staircase proudly sitting on manicured lawns. Ella, the first owner, had Neiman Marcus' son himself decorate her home, and covered its gardens with azaleas, the first to be seen in Austin. The food at Goodall's Kitchen, the hotel's restaurant, is elegant without being fussy. The romantic setting is ideal for an intimate date over a glass or two from their curated wine list. The design aesthetic of Goodall's marries the traditional to the classic, much like the guest rooms, mixing mid-century modern elements with French and european decor. Knowledgeable and friendly staff members welcome you at check in and show you to your room, some of which open up to a wide balcony adorned by oversized columns overlooking the city, giving each guest the impression they are staying in a castle. Hotel Ella is worth a visit even if only for pictures, and a bite of the housemade hummus. Built in 1936 as an "ultramodern" motor court, the property has been transformed into a 40 room urban bungalow-style hotel tucked behind stucco walls. 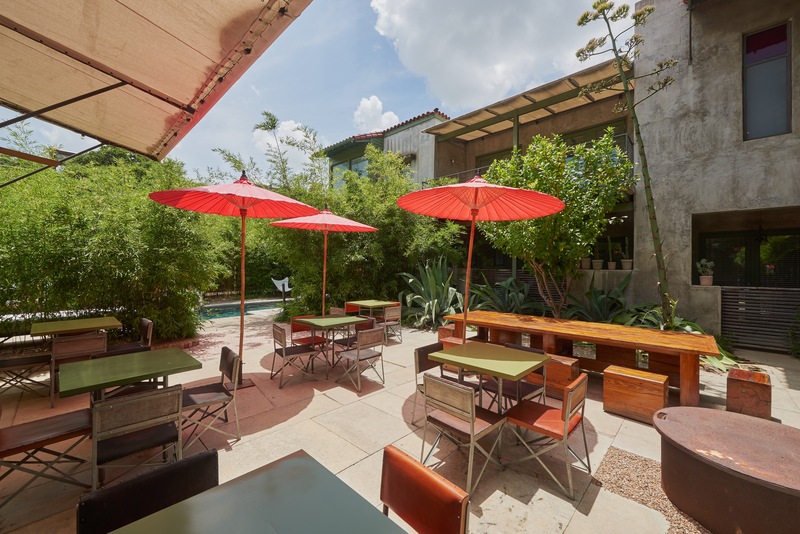 Nestled amidst lush garden courtyards, it is walking distance to South Congress Avenue's buzzy bars and music venues. Hotel San Jose is one of the more bohemian places to stay, bursting with Austin character and mood. The 40 concrete-floored minimalist rooms feature ethnic fabrics and handmade furniture, Some of the rooms offer en suite bathrooms, while others share facilities. Breakfast (not included), can be served in-room or in the courtyard. In addition to being a unique place to sleep, the Hotel San Jose is a common gathering place for locals and visitors alike. To make this cozy hotel even more Austin, dogs are always welcome. The Heywood Hotel embodies the intangible elements that define Austin: Unique. Easy going. Thoughtful. Cool. Located right in the center of the hip East Austin neighborhood, it is an easy walk to downtown, Rainey Street, Sixth Street, the Convention Center. For those who enjoy the outdoors, it is also walking-distance from the lake and walking trails - grab your sandals and your paddleboard, and no one will know you are a tourist. The seven rooms are creatively styled, and some have private patios. A favorite feature are the hanging chairs out front, making Heywood Hotel an easy to find spot that you make you feel like you've just come home. Find the author on Instagram and on Society Letters.